Why JPG? We’ve spent the past decade capturing moments that matter to people like you. We push creative boundaries and provide strong visuals that tell your story with care. We use our skills, humor and sense of adventure to capture emotion and document moments you never want to forget. We refuse to be boring and care about telling your story. JPG Photography comprises a team of award-winning photographers who focus on documenting moments without intruding on your event. The owner, Joseph Gidjunis, spent a decade in the newspaper industry as a reporter and photojournalist, and he’s taken his love of genuine and honest photojournalism and brought them to weddings, events and films with a talented team of like-minded visual artists. The JPG team has a knack of capturing real life in way that your family or colleagues shall treasure for generations. And they do it in an unobtrusive way full of fun and laughter. 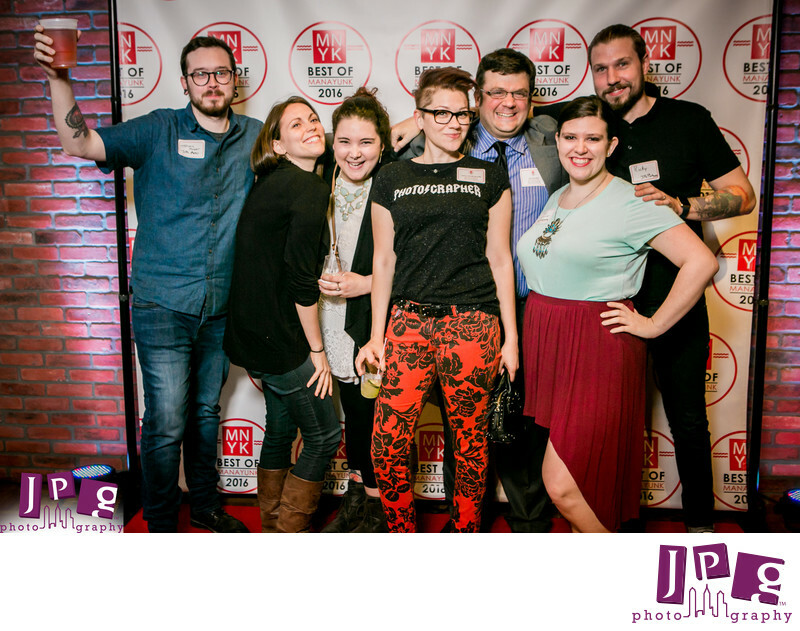 JPG, now with more than 800 weddings, films, and photo booths on its resume, are entering its 13th year of business. The team has the experience to make your day amazing. The studio has been voted #1 on the Philly Hot List, and most recently the Philadelphia Inquirer’s Reader’s Choice for “Best Wedding Photography” and “Best Wedding Videographer.” The studio owner, Joe G, was awarded #3 in the world by the Wedding Photojournalist Association, and the studio has been named among the best 20 in the world by the International Society of Professional Wedding Photographers. Fearless Photographers lists him as 63rd (tied) on their all-time best list. The team has documented many high-profile events. 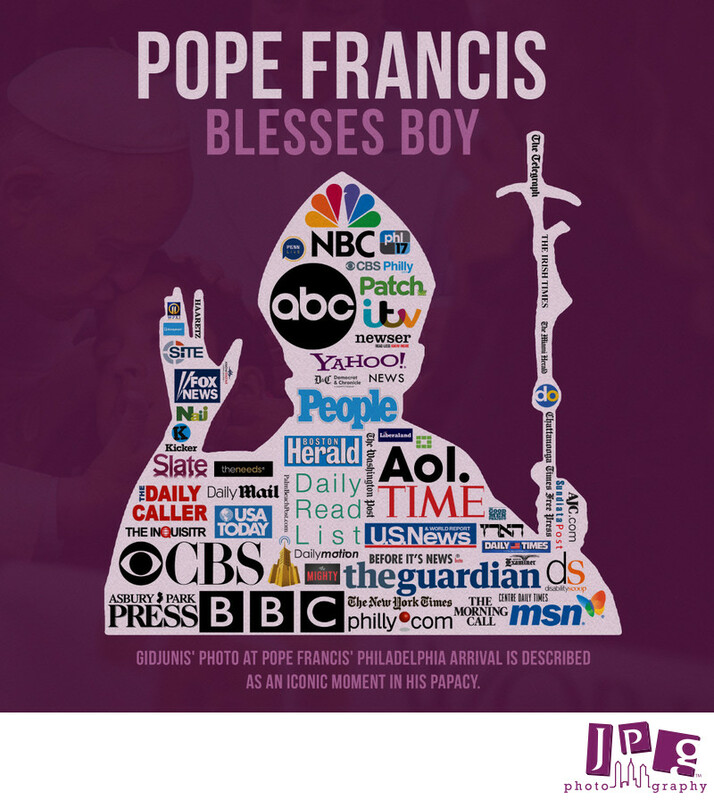 JPG Photography was able to document Pope Francis’ historic visit to Philadelphia during the World Meeting of Families Conference in September 2015, and the image of the Pope kissing Michael Keating has been called the iconic image of the Pontiff’s visit. They’ve also covered the 2016 Cannes Lion Festival and events during the 2016 Democratic National Convention in Philadelphia. Joe currently serves the city as a photographer for Philadelphia Mayor Jim Kenney. JPG clients trust them to get the job done right, the first time.